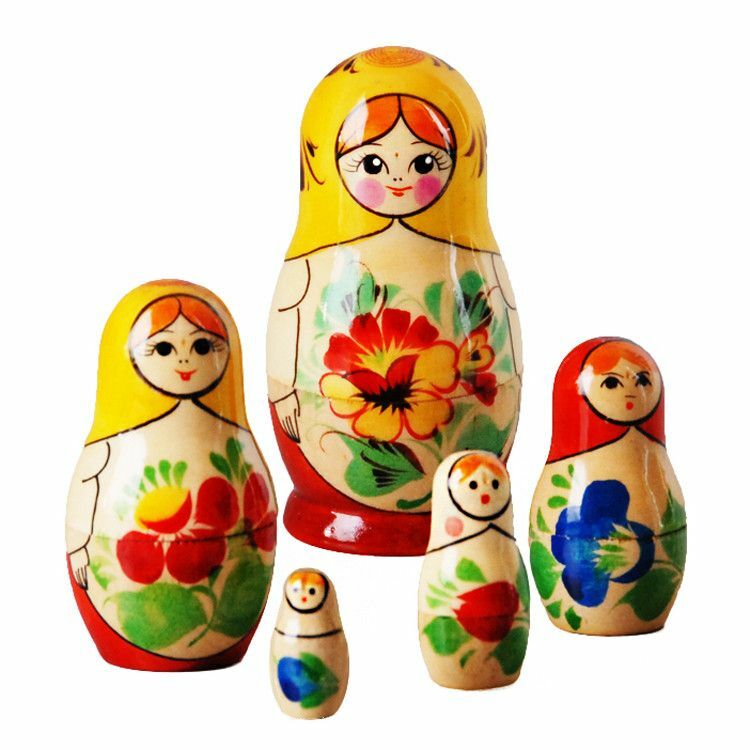 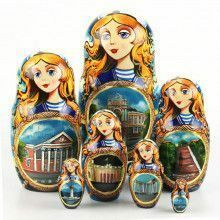 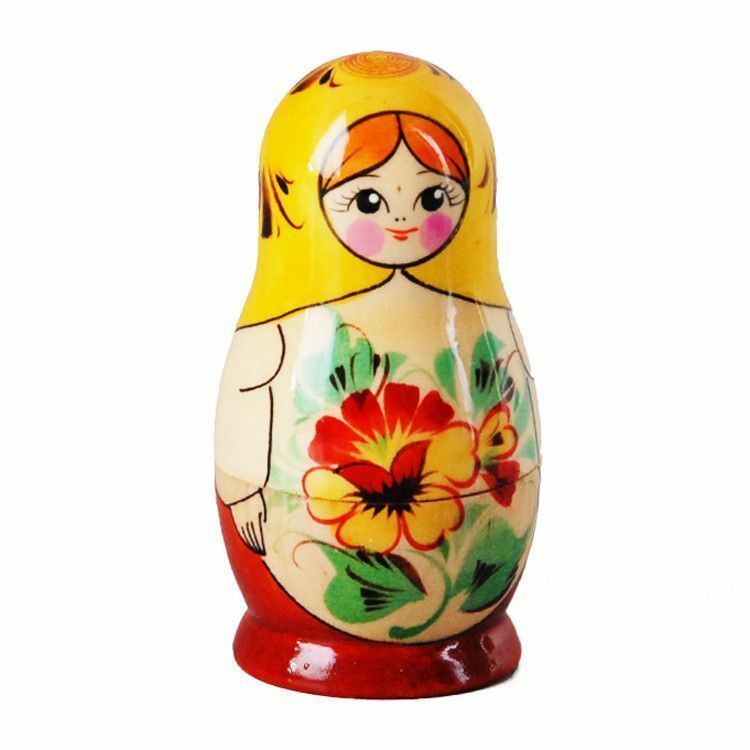 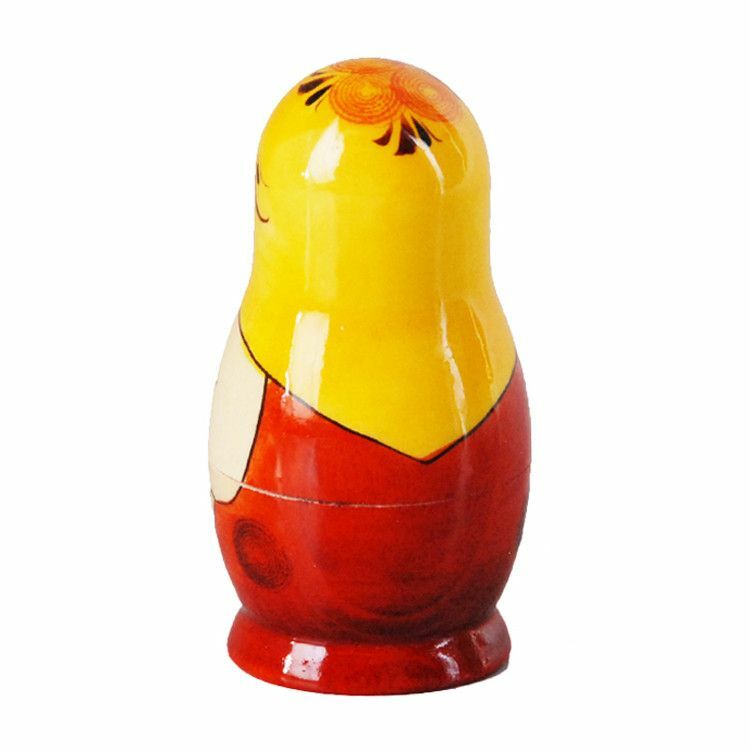 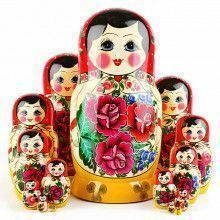 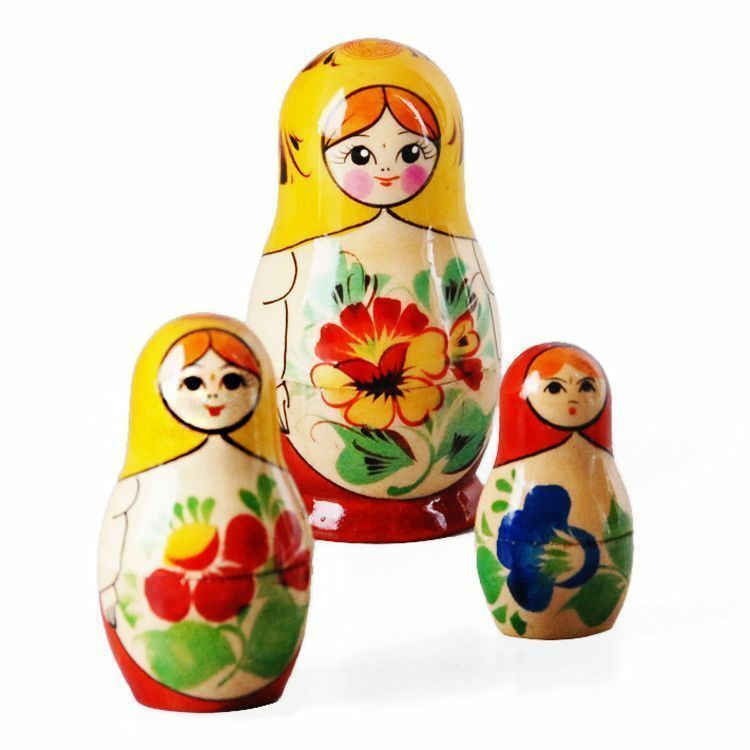 Bright and sunny, this traditional imported nesting doll was hand-crafted and skillfully painted in Russia. 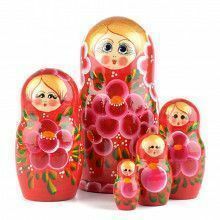 It features a gloss finish, and an intricate floral design that's sure to impress. 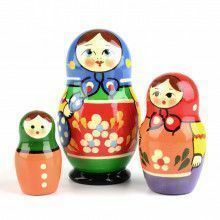 Makes a great gift, or a cost-effective way to give any room some more character.